It was a long 4 hour drive in traffic from Pirque to Con Con on December 29th, 2012, so we decided to stop part way through in the wine valley of Casablanca for lunch and wine tasting. Unfortunately, Veramonte Winery was closed and we missed the exit to Emiliana, so we settled upon Casa de Bosque. Luckily, we were able to get an outside table at this busy restaurant and stunningly set winery, sampling all its goodness. We all shared abalone (locos) empanadas and a ceviche/seafood platter to start, then a couple oh so tasty seafood pastas and a salmon dish. 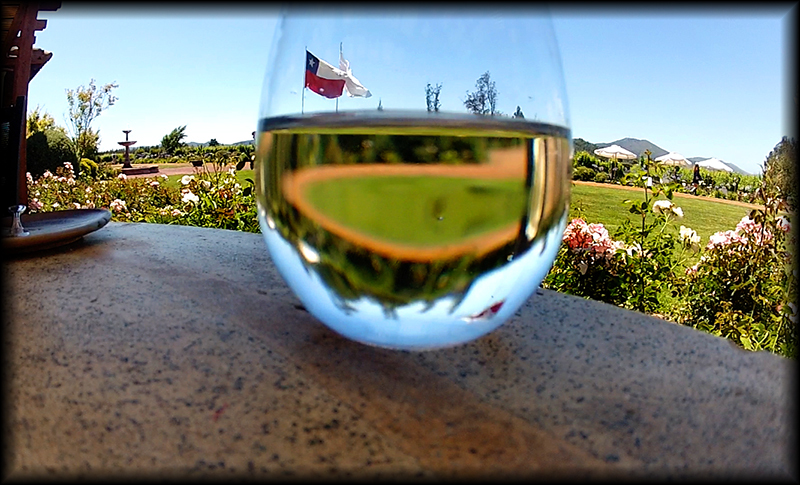 Not to mention a few delicious bottles of Sauvignon Blanc (well mostly mom and I since Abe had to drive). This was some of the best food we had eaten in a while. 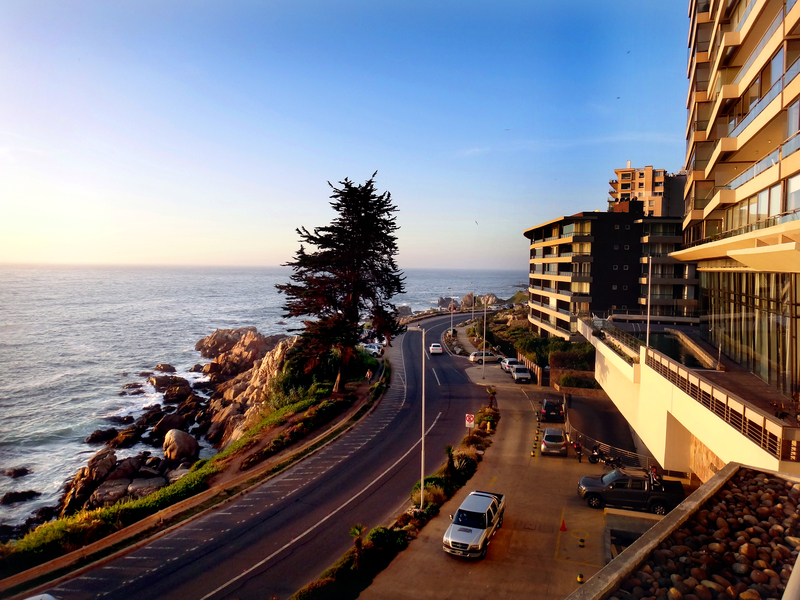 We drove through the high-rise buildings of Viña del Mar and up the coast to the smaller town of Con Con. Our 3 bedroom nicely decorated condo overlooking the ocean was bigger than we all expected, but lacked the kitchen equipment of Casa Ishi. We happily unpacked for our 4 night stay. Not wanting to get back in the car, mom stayed in and relaxed while Abe and I went on a walk in search of a place for dinner. This turned into quite an expedition as only condos and homes were in the vicinity. After almost an hour, we found the Jumbo, a giant grocery store. Got a couple chicken empanadas and Stella’s to go and headed back. For the 30th of December we all just relaxed in our new home. It was wonderful to hear the ocean once again. 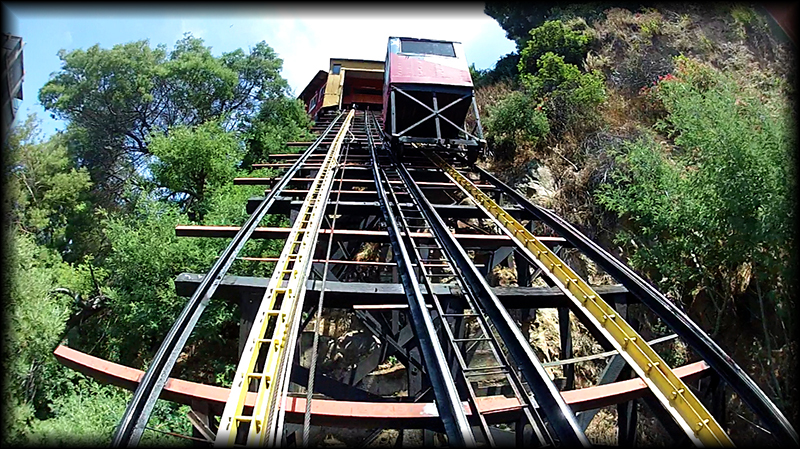 The next day, New Years Eve, we decided to venture into the big city of Valparaiso to see the infamous elevators. We figured it would be too hectic to try and drive or take a bus back out of the city after the fireworks, so we could only hope to find somewhere near our condo later that night. I went for a run that morning and discovered Renaca beach would be a good spot and it was only a 20-30 minute walk from our condo. Now there are many buses that go to Valparaiso from Con Con, but unfortunately we chose the wrong one with the long way around. 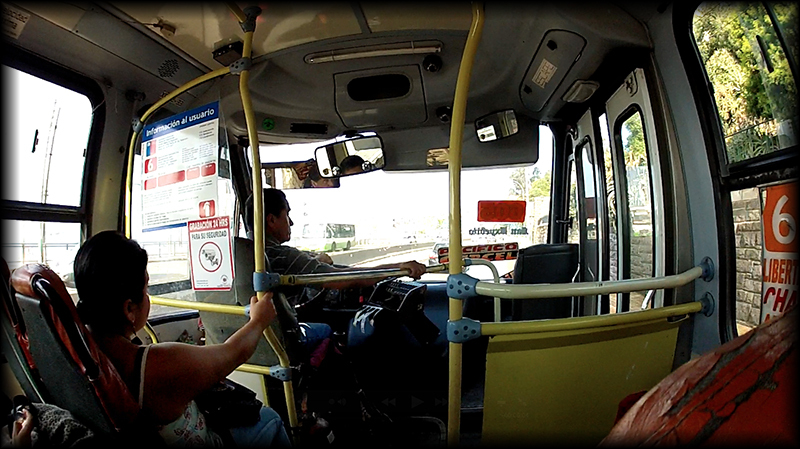 After the bus made a turn off the beach road and up through the large city of Viña del Mar, we realized we were headed in the wrong direction. 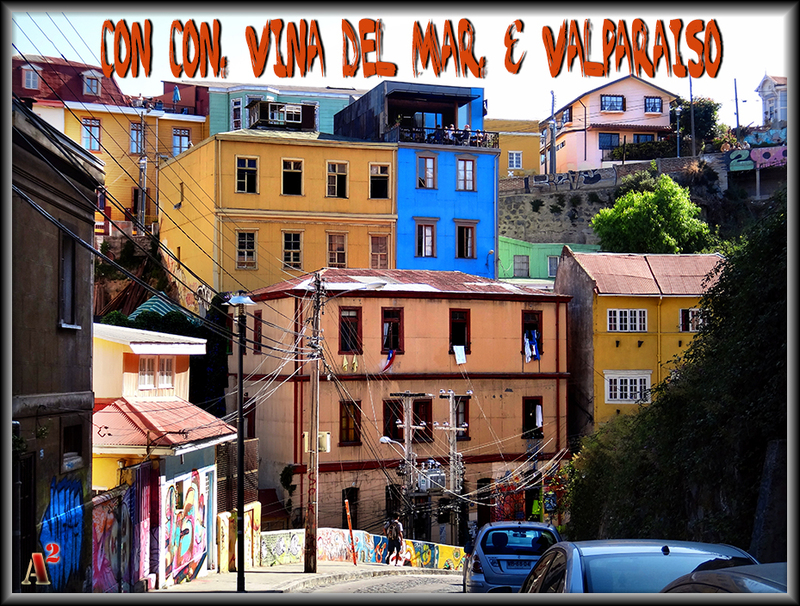 We quickly jumped off and back onto another bus headed straight for Valparaiso. We popped our heads into a hotel, grabbed a city map and Abe and mom found Ascensor Conception. I was worked over from my morning run excursion and in a food mood…so in other words, useless. Thankfully, I had these two to direct me. This is the oldest of the rickety antique elevators in Valparaiso. We had all envisioned these elevators to be connected to a building taking you up to different areas of the city. But it was a small metal and wood box that took you up the side of the dirt hill lasting a mere 20 seconds. Now the elevator may have been less than impressive, but the views overlooking Valparaiso, Viña del Mar and up the coast were spectacular. We quickly stumbled upon a busy restaurant that said ‘cerrado’ (closed). But it was too inviting to just walk away from. Mom and I popped our heads in as waiters we’re flying by and caught the attention of a woman who said, “Here for lunch?” “Yes,” we quickly replied. She said, “Um, okay 10 minutes?” Done! 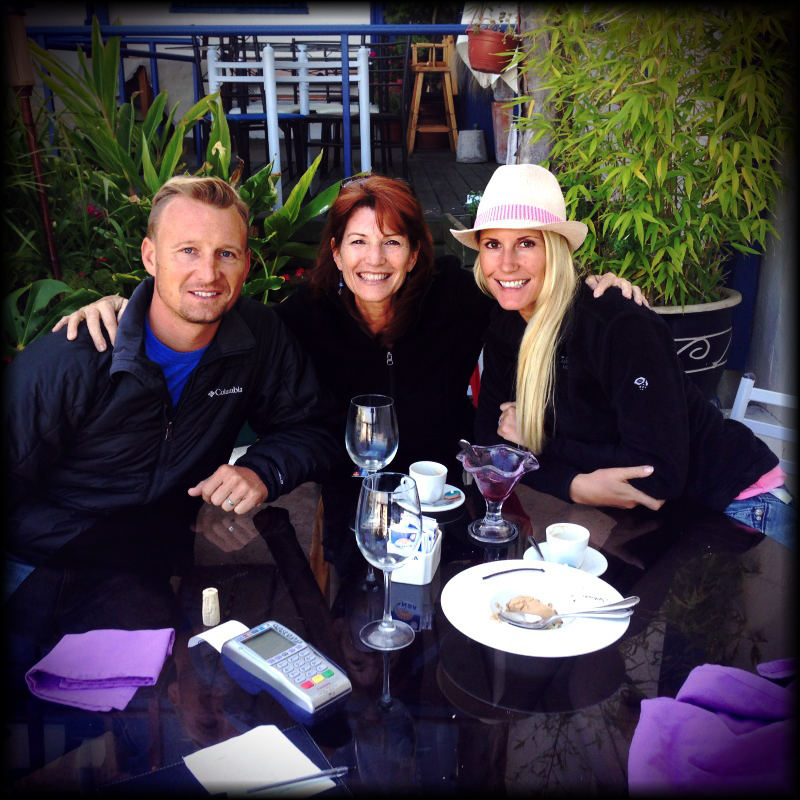 It took us a few minutes to realize that she was speaking perfect English, a rarity in South America. They had only put the closed sign up because they were too busy to take anymore. 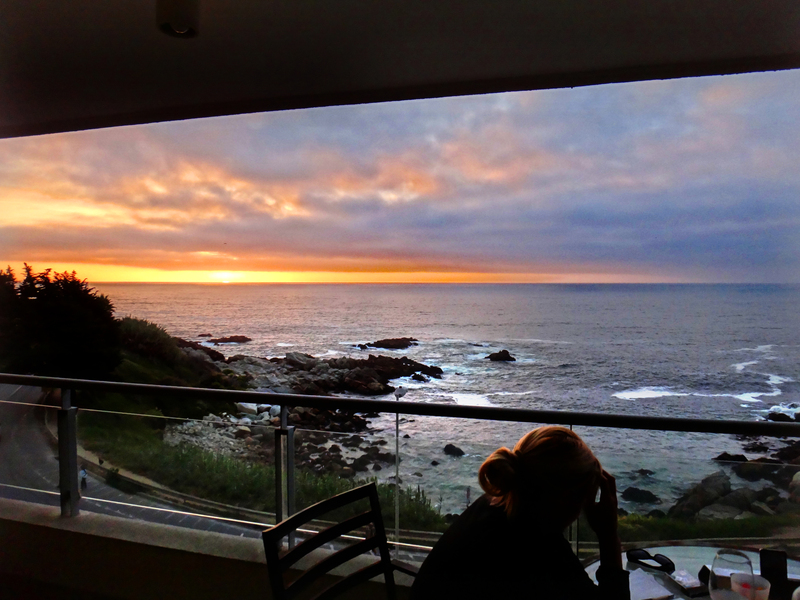 In less than 10 minutes, we had a wonderful outside table overlooking an epic view at an American expat owned restaurant, La Concepcion. We all splurged on appetizers, mains, dessert and a couple bottles of Casa de Bosque Sauvignon Blanc Reserva. It was a perfect way to celebrate the last day of 2012. After our late lunch, we wondered up and down the hills admiring the infamous graffiti art murals. All impressive and special in their own way. The bus ride back to Con Con was quick and easy. Except that it dropped us off in the actual town of Con Con. 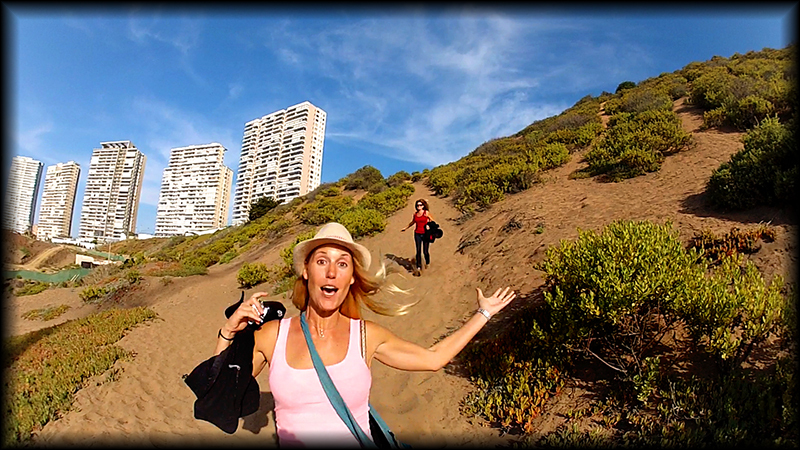 So that meant we had a long walk down and around to the coast or attempt to scale down the sand dune next to the condo. We opted for the latter. And what fun it was! With sand in our shoes and smiles on our faces we kicked up our feet and enjoyed the last sunset of the year. After a tasty home cooked dinner we put our walking shoes on and a couple bottles of bubbly in the backpack and headed south along the narrow cliff top path. It didn’t take long for us to find a line of cars with like-minded Chileans ready to watch the infamous midnight firework show. So the three of us nestled ourselves into the ice plants at the top of the ocean cliff and waited. Luckily we were kept entertained by others bumping reggeatone and pre-popping their own fireworks/confetti until just before midnight, when the largest firework show in South America began. 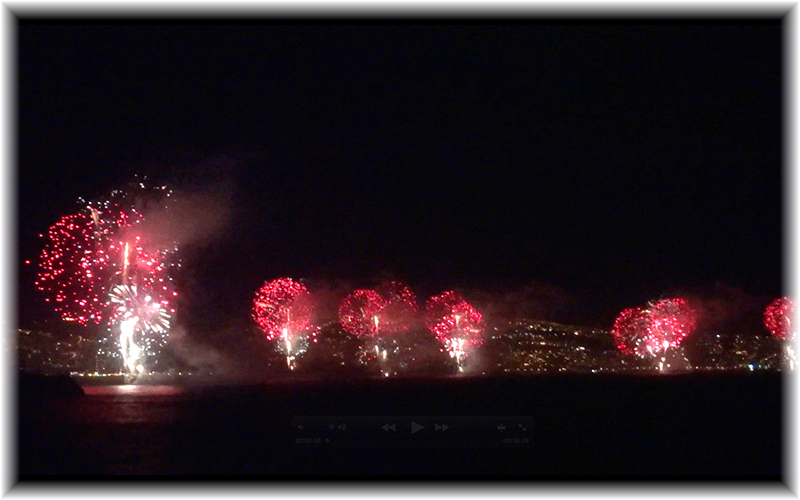 The city lights of Viña del Mar and Valparaiso were beautiful in there own right, but quickly disappeared as the line of 17 different firework shows began simultaneously from the hills and ships. We popped the bubbly and sat in awe of this spectacular firework display. Collectively, we had never seen anything like it. Hands down the best ‘fuegos artificiales’ of all time! 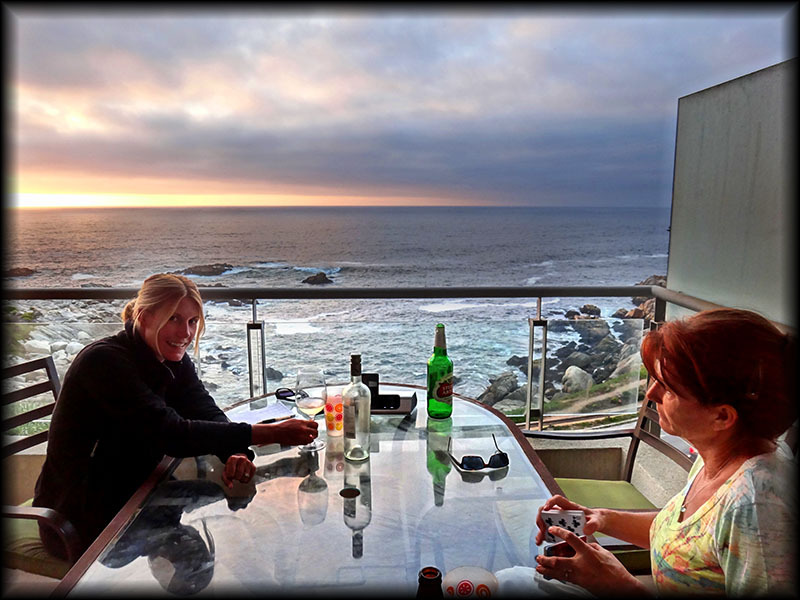 Elated from this incredible experience and the bubbly, we reflected on 2012 and what 2013 would bring as we walked back to our cozy condo.